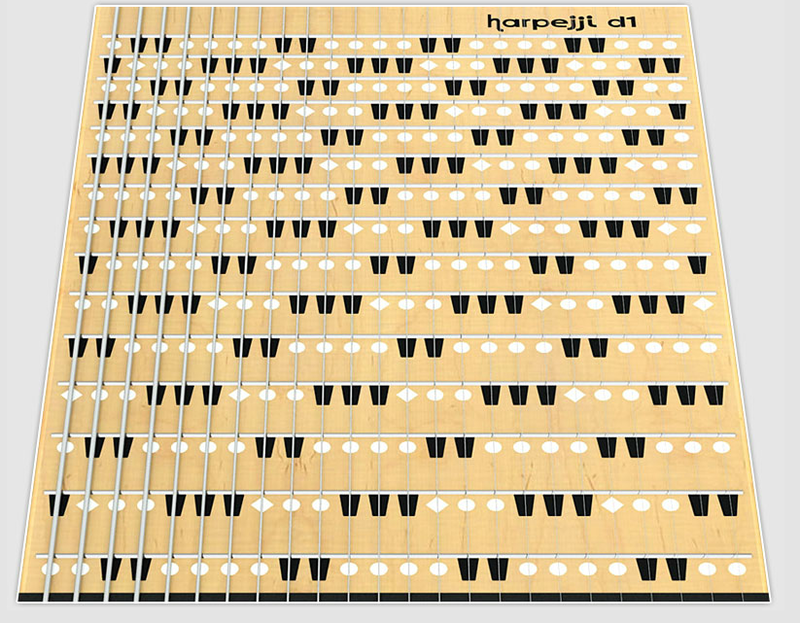 The Harpejji is an isomorphic string instrument. It is like a cross between an electric guitar and a Janko Keyboard. The pitch layout is similar to a Janko keyboard except that there are no duplicated rows; each row is a half-step higher. 24 strings are tuned a whole step apart, for a four-octave range of open strings, plus 15 frets a half-step apart, for a total range of over 5 octaves (A0, by which they probably mean the lowest A on the piano, to A5). There is also a smaller model with 16 strings and 19 frets for a four-octave total range. For more about the pitch layout and the instrument, see the Harpejji website www.marcodi.com, particularly here and here. The Harpejji was preceded by the StarrBoard, which was invented years ago by John Starrett. The patent on the StarrBoard has now expired. According to the Harpejji website, the StarrBoard had strings tuned a semitone apart rather than a whole tone. 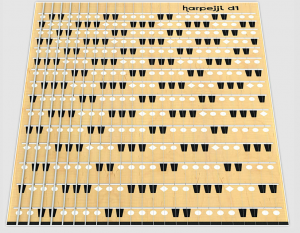 So the Harpejji layout is closer to the Janko keyboard layout.